Offering you a complete choice of products which include polypropylene pleated filter cartridge, polypropylene filter bag, filter bags for cement industries, metallic filters - stainers, industrial filter bags and cotton filter bag. 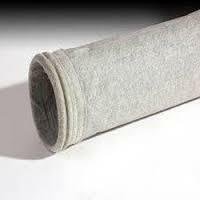 Pleated Filter Cartridge is use for fine filteration in nominal & absolute efficiency. 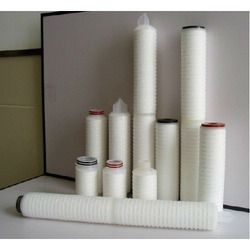 Polypropylene Filter media is placed between Polypropylene core with Thermoplastically welded. These Cartridges are widely use in industries like Chemical, Pharmaceutical, Food & Beveragies, Water Treatment, Electronics, Photographic & Semi Conductors etc. 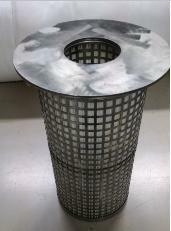 for filtering solvent, D. M. Water, R. O. Water, juice, Wine, Photographic Chemical etc.